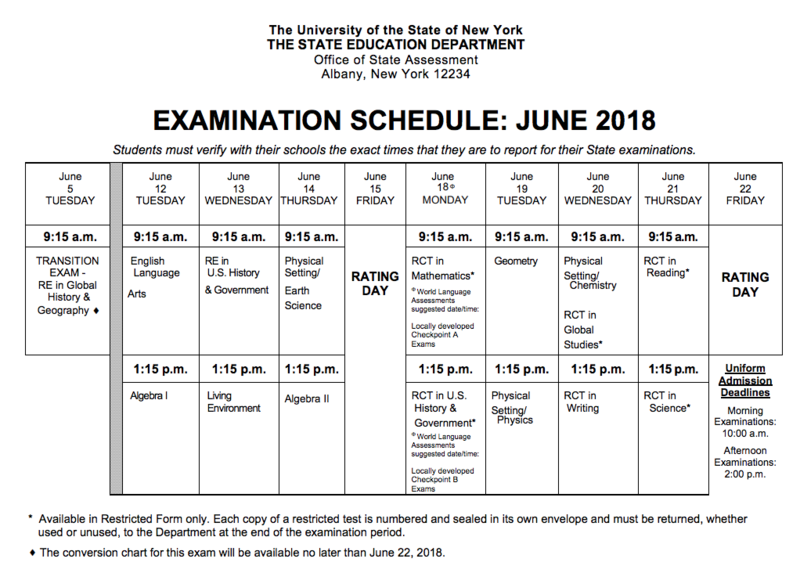 June 2018 Regents Test Dates- Check the dates for your Regents here. Students will receive a test ticket for each Regents Exam. You must bring that test ticket with you to enter the building during Regents Week. Arrive early and bring both pens, pencils and your student I. D.
This site includes exams from the most recent January 2015 schedule. New online tool from the National Archives, 2,500 documents with engaging classroom activities. Links and lessons with primary sources for Global and United States history. LIst of online resources from around the world. Recommended by the Library of Congress. Lesson plans and more from the Annenberg Foundation. Social Studies lessons based on resources available online. Created by the National Endowment for the Humanities. Over 100,000 documents related to our Presidents, compiled by the University of California, Santa Barbara.